sitting here on the eve of 40 weeks pregnant & figured it's now or never if i wanted to document any of the thoughts swirling around my brain, before our girl arrives & brings a whole different set of them. 40 weeks. 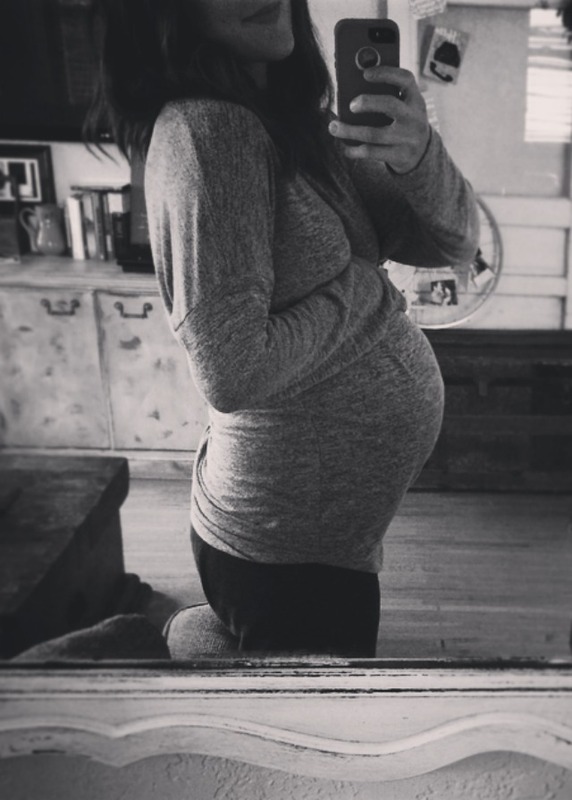 i'd be a pregnant liar if i told you i hadn't gotten to this point without some complaining along the way, and for that i'm mentally reprimanding myself. abel came two weeks early, and so for the past two weeks i had it in my head that she'd be here 'any day'... well firstly, she's a girl & my daughter & so it wouldn't make sense for her to be early to anything, and secondly, no one knows a better time for her to arrive than her and God, so i should have minded my own biz. point is, tomorrow i am officially 40 weeks pregnant & have already been pregnant longer than i ever have been before. i could be hours away from meeting her, or i could be days away (hours is more accurate though, right Lord?). today, 39 + 6, i decided to stop waiting on her & rest in knowing she will come when she's ready... i mean, she can't stay in there forever. as mentioned, the past couple weeks have felt long. i've felt tired & anxious, and more than anything i've just felt ready to hold our girl & start life with her in it. this morning when i woke up, still pregnant, i decided it was time to get out of my yoga pants & enjoy the day AS IT IS, not looking forward but just being present. not tooting my own horn in the slightest, those of you who know me personally know that i would never, but pregnancy is honestly really really good to me. i know a lot of people struggle through pregnancy. sickness, unwanted weight gain, high blood pressure, the list goes on. i'm not struggling with any of these things and for that i'm thankful & have officially stopped with any complaining. i am 100% healthy, didn't need any major abdominal surgeries this time around, still fit in some of my favorite jeans (belly banding of course), so far am not weeks overdue & most importantly.. i AM pregnant. PLUS, i've got the cutest toddler to keep me company while i wait. i am seriously so excited to meet this little. she's been dreamt of & imagined, named & unamed & renamed & unamed some more (did i mention naming a girl has been hard? ), all the while loved a whole stinkin lot! it's going to be SO much fun having another TINY baby to love. i'm excited to see abel grow & learn to love a sibling. chris is going to be more handsome than ever as he takes on 'Daddy' a second time, & i don't think he knows what's coming, because girls and their daddy's…. heart eyes, heart eyes, heart eyes. so here's to 40 weeks! apologies to my loved ones who have heard the complaints first hand, praises to chris who loves me so much still, and thankfulness for abel & the few days we have left with JUST him! fingers crossed for a baby 'any day now' & mimosas & cake on the other side of it all!